This handbook presents a comprehensive collection of civil engineering calculation procedures useful to practicing civil engineers, surveyors, structural designers, drafters, candidates for professional engineering licenses, and students. Engineers in other disciplines—mechanical, electrical, chemical, environmental, etc.—will also find this handbook useful for making occasional calculations outside their normal field of specialty. Each calculation procedure presented in this handbook gives numbered steps for per forming the calculation, along with a numerical example illustrating the important concepts in the procedure. Many procedures include "Related Calculations" comments which expand the application of the computation method presented. All calculation procedures in this handbook use both the USCS (United States Customary System) and the SI (System International) for numerical units. Hence, the calculation procedures presented are useful to engineers throughout the world. Major calculation procedures presented in this handbook include stress and strain,flexural analysis, deflection of beams, statically indeterminate structures, steel beams and columns, riveted and welded connections, composite members, plate girders, load and resistance factor design method (LRFD) for structural steel design, plastic design of steel structures, reinforced and prestressed concrete engineering and design, surveying, route design, highway bridges, timber engineering, soil mechanics, fluid mechanics, pumps, piping, water supply and water treatment, wastewater treatment and disposal, hydro power, and engineering economics. Each section of this handbook is designed to furnish comprehensive coverage of the topics in it. Where there are major subtopics within a section, the section is divided into parts to permit in-depth coverage of each subtopic. Civil engineers design buildings, bridges, highways, airports, water supply, sewage treatment, and a variety of other key structures and facilities throughout the world. 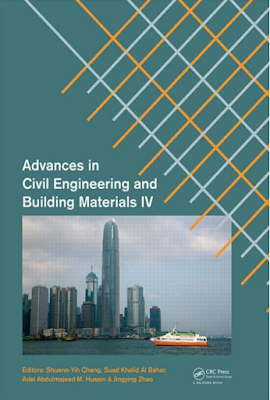 Because of the importance of such structures and facilities to the civilized world, civil engineers have long needed a handbook which would simplify and speed their daily design calculations. This handbook provides an answer to that need. 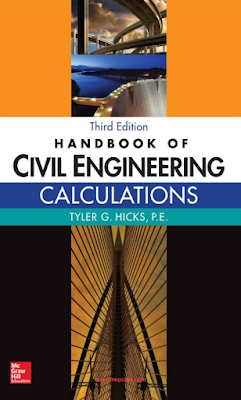 While there are computer programs that help the civil engineer with a variety of engineering calculations, such programs are highly specialized and do not have the breadth of coverage this handbook provides. Further, such computer programs are usually expensive. Because of their high cost, these computer programs can be justified only when a civil engineer makes a number of repetitive calculations on almost a daily basis. In contrast, this handbook can be used in the office, field, drafting room, or laboratory. It provides industry-wide coverage in a convenient and affordable package. As such, this hand book fills a long-existing need felt by civil engineers worldwide.